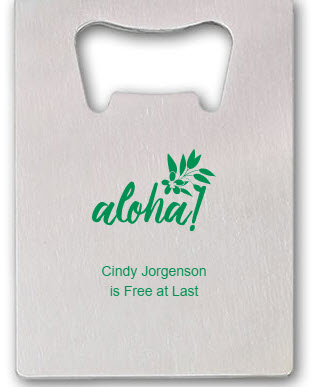 Easy grip credit card bottle openers make for lasting retirement favors. Since they measure 3 3/8" x 2 1/8", they can fit just about anywhere. 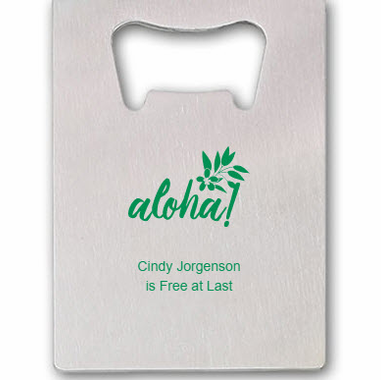 Made of stainless steel, they are fully customizable with our designer program. They arrive bulk packed in bags.